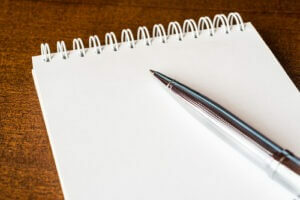 Empty notebook with a pen on the table. Photo courtesy of Shutterstock. The decision to apply to medical school is not easy. Before students can even apply, they must complete rigorous coursework, volunteer or work in a clinical setting, score well on the MCAT exam, and more.